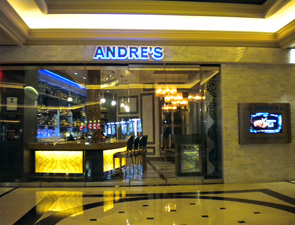 Whiskey fans and aficionados can be found on the first Wednesday of every month at Andre’s at Monte Carlo Resort and Casino. The restaurant and lounge known for its superior collection of whiskeys and cigars today announced dates for its popular Whisk(e)y Wednesdays for the remainder of 2011: Aug. 3, Sept. 7, Oct. 5, Nov. 2 and Dec. 7. Each Whisk(e)y Wednesday begins at 7 p.m. and takes place on the second floor of Andre’s in Las Vegas’ only cigar lounge connected to a Strip restaurant. For an unlimited tasting, the price per person is $25 in advance or $35 at the door. For more information, call (702) 798-7151 or go to http://andrelv.com. Saturday, July 2nd, David Burke Kitchen will kick off summer with Slider Saturdays, when guests can order a half dozen sliders with a can of beer or soda for only $15. For July 2nd, 3rd and 4th and every summer Saturday after that, guests can mix & match slider varieties: tuna with chipotle mayo, crispy oysters with Old Bay sauerkraut and the Kitchen bacon cheeseburger, which come in a six-pack burger box. For each half dozen sliders, they can choose any can of American beer, such as Dale’s Pale Ale or Genesee Cream Ale, or a soda. The special can be enjoyed out in the garden or in the main dining room from 11am-5pm. David Burke’s other New York restaurants will also celebrate July 4th with a variety of specials. Details are below. David Burke Kitchen: 23 Grand Street (at Sixth Avenue), 212.201.9119, www.davidburkekitchen.com. David Burke at Bloomingdale’s: Those planning a holiday trip to the Hamptons can stop by Burke in the Box for a special Jitney lunchbox, which includes a brownie, bag of chips, water bottle and a half of any Burke in the Box sandwich for $12. Available Saturday-Monday. 1000 Third Avenue (at 59th Street), 212.705.3800, www.burkeinthebox.com. Fishtail by David Burke: Fishtail will serve its three-course prix fixe Lobster Louie menu featuring light appetizers and a selection lobster entrees prepared four different ways. $35/person. Available for dinner Friday-Monday. 135 East 62nd Street (between Park and Lexington Avenues), 212.754.1300, www.fishtaildb.com/. David Burke Townhouse: David Burke’s flagship restaurant will serve a three-course prix fixe “Sun of a Beach” boardwalk-inspired menu with classic American dishes and whimsical desserts such as salt water taffy, shaved ice and cotton candy. $35/person. Available for dinner Sunday-Monday. 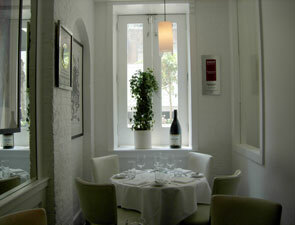 133 East 61st Street (between Park and Lexington Avenues), 212.813.2121, www.davidburketownhouse.com. Simon Restaurant & Lounge offers a new $6 Happy Hour Menu 4 - 7 p.m. Monday through Friday featuring appetizers, sushi, wine by the glass, beer and premium well drinks. Simon’s $6 Happy Hour Menu is available 4 - 7 p.m. Monday through Friday. For more information or to make a reservation, call 702.944.3292. Enjoy amazing experiences offered by several MGM Resorts International properties this Independence Day weekend. Gifted chefs, talented mixologists and luxurious pools at ARIA Resort & Casino, MGM Grand, Monte Carlo and New York-New York will offer summer-fun menus and activities, giving guests plenty of options for planning their Fourth of July weekend. In addition to the special food and drinks being offered, guests who sign up to be a member of M life, MGM Resorts’ new loyalty program, will be eligible to earn one $25 gas card for every 500 M life points earned at participating MGM Resorts’ properties in Las Vegas. Treat yourself to several refreshing liberty libations at Bar Moderno, City Bar, and View Bar. These casino bars are serving up four premium liquor drinks including Old Glory Sweet Tea, Independence Caipirinha, Freedom Sparkler, and the signature Stars & Stripes Mojito. Sip freely on the Pear Lemonade, a delicious non-alcoholic beverage. Jean Georges Steakhouse’s à la carte menu features Clam Chowder, Roasted Carrot Salad, Dungeness Crab Crostini, Angus 300 New York Strip and Corn Fritters. Finish the experience with Peach Melba, Raspberry Lavender Soup and buttermilk ice cream. Jean Georges Steakhouse is open from 5 p.m. - 10:30 p.m. and reservations can be made by calling (877) 230-2742. Taste the best authentic flavors of Bangkok at Lemongrass. Executive Chef Krairavee has created two special live seafood dishes for Fourth of July. Enjoy a wok-tossed Maine Lobster in a spicy Thai basil sauce with chili and mushrooms ($110) or the Fried Goby Fish, a fresh water Thailand fish, in tamarind sauce ($60 per pound). Indulge in all of your barbeque favorites at SKYBOX Sports Bar and Grill with the spicy BBQ Ribs and Rotisserie Chicken Platter. This plentiful meal includes a half rack of Jolokia-barbeque baby back ribs, chicken breast, southern-style coleslaw and a cold draft beer for $25. UNION Restaurant & Lounge will be offering Kobe sliders and a beer special priced at $24.99. The Buffet at Bellagio adds gourmet menu items for the Independence Day weekend. Dinner is available 3 p.m. - 10 p.m. and is priced at $44.95 per person. Brunch is available 7 a.m. - 3 p.m. and is priced at $32.95 per person or $38.95 per person with unlimited champagne. Aureole and Executive Chef Vincent Pouessel invite guests to celebrate July 4 at the lounge or Wine Tower Bar. Enjoy delectable small plates including the Shitake Mushroom Spring Roll, Seasonal Oysters, Spicy Beef Corn Dog, Sirloin Sliders and Garlic Rock Shrimp over chorizo risotto. Small plates are priced from $10 - $16 and paired with featured American wines. SEABLUE by Michael Mina presents a delicious prix fixe menu. This three-course menu for two is priced at $100 and includes a refreshing Watermelon Salad and a BBQ Bistecca served with sweet corn, potato and pasta salad. Indulge in a Turtle Sundae with caramel ice cream to satisfy your sweet tooth. 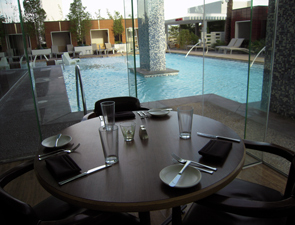 Reservations can be made by calling (702) 891-3182. Enjoy one of the best burgers on The Strip with BRAND’s Kobe Burger special as well as $5 Skyy vodka and domestic beers and select $9 appetizers from 5 p.m. - 7 p.m.
Watch the night sky light up with a Fireworks Viewing Party at Diablo’s Cantina July 4 at 8 p.m. Looking to spend an exciting day outdoors this Independence Day? Saturday, July 2, the pool at Monte Carlo invites guests to BBQ on the Pool Deck. Barbeque favorites including hot dogs, hamburgers and bratwurst sandwiches will be available. Guests can participate in fun games and contests such as the Red, White & Blue bikini contest and hot dog eating contest. Entertainment also will be provided by a special guest DJ. New York - New York . From Friday, July 1 through Monday, July 4, enjoy the Dueling Pianos from 3 p.m. - 7 p.m. and 8 p.m. - 3 a.m. at The Bar at Times Square or music by DJ BKNY from 10 p.m. - 3 a.m. at the Center Bar. America will feature a hearty BBQ Brisket Platter. Sink your teeth into Applewood- smoked beef brisket, sweet corn on the cob, wedge fries and a house salad. This generous platter is priced at $13.95. Nine Fine Irishmen will have live entertainment by Sin ‘e Ri Ra from 9 p.m. - 2:30 a.m. all weekend as well as a special Guinness Happy Hour Monday, July 4 from 2 p.m. - 4 p.m.
Offering the best sushi and progressive Japanese cuisine on The Strip, Japonais invites guests to indulge in several small plates. 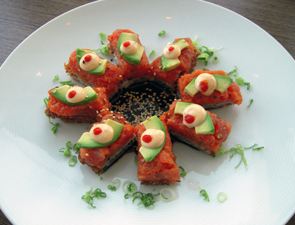 Order any three items from the Robata Grill or three appetizers and receive the fourth one free. Enjoy these signature specials Monday, July 4 from 3 p.m. - 8 p.m. The Mirage Race and Sports Lounge will offer $25 buckets of Budweiser Beer “Mix and Match” Friday, July 1 - Monday, July 4. 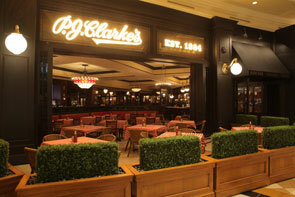 Looking for classic American cuisine? STACK features two classic yet exceptionally delicious menu items. Try the Classic Double Cheeseburger served with a special sauce, American cheese, crispy fries ($25) or the tender 16 oz. Chargrill Rib-eye Steak with grilled sweet corn and potato wedges ($40). Both entrees include your choice of domestic beer. Vegetables are in the spotlight lately, especially with the FDA’s new “plate” — and chef Bill Telepan, a Greenmarket pioneer, is serving a special menu to his favorite spring veggies. 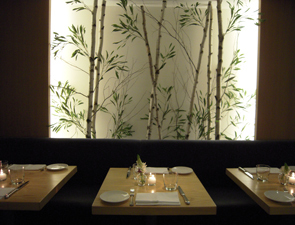 This week (thru Thursday June 23), Bill is offering a Vegetarian Harvest Dinner at his Upper West Side restaurant, highlighting the finest Greenmarket vegetables with a five-course meatless menu. Guests begin with chilled carrot soup, fried green tomatoes, onion “rolls” and radishes & herb butter, followed by flavorful, veggie-centric dishes such as zucchini handkerchiefs with baked ricotta & blossoms and torta di farro with fava & shell beans, dandelion & oregano. The five-course menu costs $75pp, $135 with wine pairings and will be offered in addition to the standard a la carte menu. WHAT: Chef E. Bernard invites all on board to indulge in pure dining opulence as he pays culinary homage to the RMS Titanic. Famed for its extravagance and impeccable taste, the Titanic was a statement of luxury. Chef E. Bernard will apply these same epicurean elements to the menu at Bernard’s Bistro at The Village Lake Las Vegas. The Dinner du Titanic menu will include items such as: Consommé Olga with a touch of Russian flavor; Titanic Signature Dish Pear and Belgian Endive Watercress and Roquefort Cheese in Herb Honey Mustard Dressing; Champagne Sorbet; and Poached Salmon with Mousseline Caviar Sauce topped with Chives Hollandaise and English Cucumbers with Asparagus and Pommes Vapeur. Other main courses include, Braised Filet Mignon LiLi with Foie Gras and Lamb Loin and Rack of Lamb with Mint Sauce, among others. 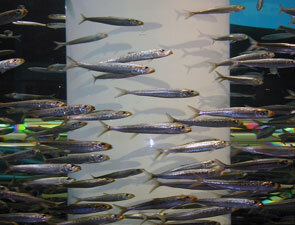 Guests can look forward to a different menu each Thursday. 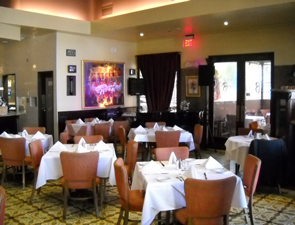 For additional menu questions and for future menus, diners can reach Bernard’s Bistro at 702-565-1155. Adam Gertler, host of Food Network’s “Kid In A Candy Story” doesn’t just do sweets - he is also proficient grill master and smoker of meats and served as Executive Chef at The Joint, a Philadelphia-based BBQ restaurant, from 2004 to 2006. While not a father himself, Adam is acutely aware of what Dad wants on Father’s Day, namely meat cooked with fire. There are some things that men are just hard wired to appreciate and the aroma of wood smoke is high up on that list. First off, on Father’s Day everything is fair game on the grill. Breakfast, lunch, dinner and dessert. No ovens. No cooking indoors. Cold beer and hot coals are not a father’s privilege but a right. Make sure to preheat the grill with the lid down. The best time to clean your grill is when it’s very hot. Scrub the grill grates well and keep them lubricated with oil at all times, I keep a towel just for oiling the grill and use it until its trashed. For breakfast make your eggs on the grill. For a charcoal grill, build a bed of about 20 hot coals on either side of the grill leaving the center free of coals. For a gas grill, only light one side of the grill. Place a disposable aluminum pan over the unlit side or between the charcoal beds. spray pan with nonstick spray or brush with butter. Fill pan with sauteed vegetables(cooking veggies ahead of time adds flavor and reduces water content), chopped cooked bacon, slice sausages, cheese, fresh herbs or some or all of the above and top with beaten eggs mixed with a little milk and seasoned with salt and pepper. Close the lid and bake your breakfast in the grill. Throw a few soaked wood chunks over the coals to add some smoke flavor. Should take about 20 minutes or until eggs set. Try Grilling a salad. Brush romaine lettuce hearts with light olive oil. Season with salt and pepper. Sear lettuce over blisteringly high heat for about 30 seconds on each side until outer leaves get nice and charred. Serve hearts whole or sliced in thirds crosswise. Top with creamy dressing such as ranch, Caesar, or blue cheese and bacon bits made from smokey bacon baked with brown sugar. You can even grill your dessert! Sliced pound cake or banana bread brushed with a little butter grilled over medium heat until nice and toasty is awesome. Even more awesome topped with ice cream. Even more, more awesome topped with grilled peaches AND ice cream. Maybe slow smoked barbecue is your favorite but you don’t want to spend the entire day manning the grill. You can get deep smoke flavor in some dishes that cook in little more than an hour. Try my beer can chicken recipe which employs the use of soaked hickory chunks. Super easy and one of the tastiest birds you’ll ever have. You can also smoke pork tenderloin rather quickly with great results, just don’t cook past 160 degrees or you will suffer dry pork which should not happen, especially on Father’s Day. If ribs are what you crave, babybacks are easiest to attack and take less times than spare ribs. Prepare the grill as described for baking the breakfast. Season ribs with bbq rub and place on grill, off of heat. Add two large soaked hickory wood chunks wrapped in heavy duty foil . Allow to smoke for two hours. brush ribs with barbecue sauce and wrap tightly in foil. Check for tenderness after an hour when you can pull meat easily from the rack near the bone, they are done. Finish ribs by grilling directly over the coals until slightly charred and a final glazing of barbecue sauce. So many people have their way of grilling corn on the cob. Some pre-boil, others remove the silk and replace the husk, I like to keep it very simple. Just remove the husk completely, brush all over with a little oil and season with some salt and grill directly over high heat until the kernels are golden brown. Finish with butter off the grill. I like to add fresh garlic, honey, and chili powder to butter for a delicious chili butter. Everybody just freakin loves this. As much as I love smoky low and slow ‘cue, my favorite all time food is probably the humble cheeseburger. Try adding a few crushed ice cubes to 1 pound of fresh ground beef or turkey before forming into patties, this helps keep the juicy delicious fat in the burger. Season the outside of the burgers with salt and fresh ground pepper. grill over medium high heat. Burgers should only be flipped once and NEVER pressed down on with spatula as this will also rob the burger of its juiciness. Top with cheese after the flip and continue cooking to your liking. 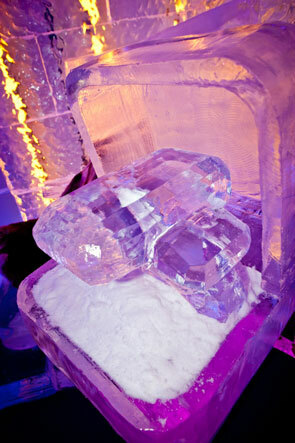 Just like bombshell Kim Kardashian, Minus5 Ice Bar in Las Vegas always likes to go big. In honor of the beauty’s recent engagement, Minus5 created a stunning replica of Kim’s 20-plus-carat engagment ring, made completely out of ice and weighing in at nearly 500 lbs. 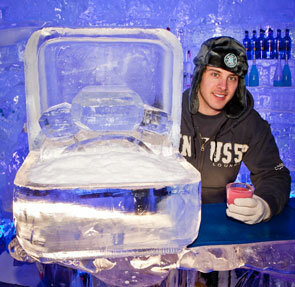 The icy gem will be on display in Minus5 Ice Bars located at Mandalay Place and Monte Carlo Resort & Casino throughout 2011, where visitors can take photos with the ring while enjoying a Kim Kardashian-inspired Belvedere cocktail named Ice Ice Baby?, featuring Belvedere Raspberry vodka, pineapple juice and coconut. 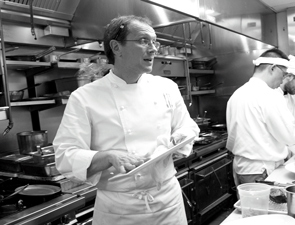 Please join chef George Mendes as he welcomes renowned chef Laurent Gras to ALDEA on Monday, June 27th as part of ALDEA’s Guest Chef Series. Both chefs will celebrate their Mediterranean roots as they prepare a special meal for guests. The evening will begin with cocktails and passed canapes, followed by a six-course menu prepared by Gras. Drawing inspiration from his native Antibes, France, Gras’ dinner will feature dishes influenced by the region such as gazpacho consomme en gelee; poached codfish with pickled potato and soft-poached egg yolk; and suckling pig with foie gras and roasted mango. The dinner is $185 per person and includes wine pairings.